The Look: Cozy and comfortable, yet lady-like and elegant. This simple, high-contrast ensemble is easy-enough to wear and leaves plenty of room for dramatic makeup. Friday Night Winter Makeup: The dreary grays of winter weather make me especially eager to play with color and wear my makeup to the max. In this look, I'm pairing frosty blue smokey eyes with voluptuous matte lips and glowing rosy cheekbones for a fun, dramatic look that's perfect for a Friday night. Apply Motives Eye Base on to the lid and up to the brow bone. 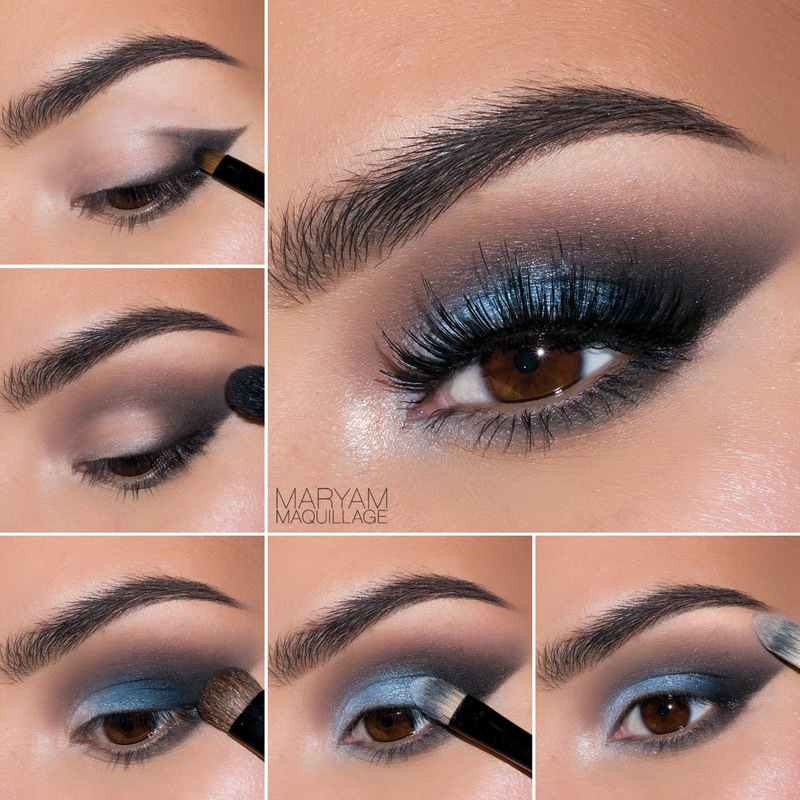 Using a detailing brush from Motives 15-piece professional brush set, apply "Raven" eyeshadow (ELEMENT Palette) to the lower lash line, outer corner and outer crease, creating a v shape. With a fluffy brush, blend out the edge of the shadow using small circular motions, then take "Aubergine" shadow (ELEMENT Palette) and use windshield wiper motions to apply the shade to the crease area. Blend well. 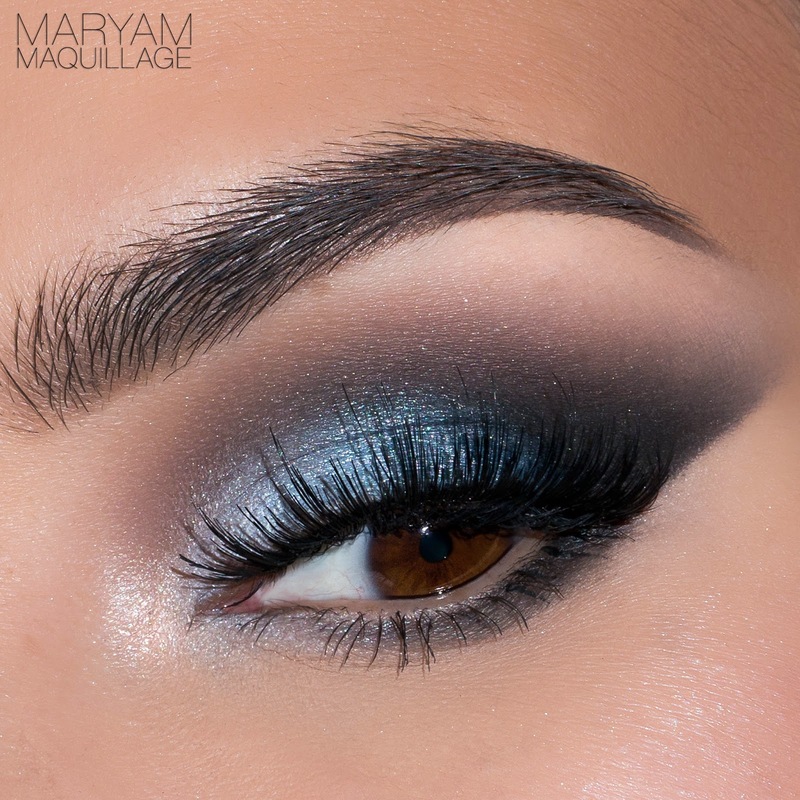 Apply "Twilight" single eyeshadow to the outer half of the lid with a flat eyeshadow brush. Use a flat brush or small concealer brush to apply a light blue shadow (Fantasy Palette) to the inner half of the lid and inner corner. Highlight the inner corner with "Shell" eyeshadow (ELEMENT Palette) and brighten up the brow bone with "Birch" matte vanilla shade. Apply mascara and false lashes to complete the look. What's your favorite winter look? Omg I love this! and I love your hair in this. Love it! Love the background too! I love how you pared those colors with the red lipstick. I would have never thought to do that!